At ITNAmerica, we create programs. Rides in Sight, for example, is the only carefully curated database of senior transportation ride service providers nation wide. It is a free information service, searchable online or through trained customer service representatives, and it allows people anywhere to find transportation options that serve their area. Our Trusted Transportation Partners program, meanwhile, offers a seal of quality for organizations in communities across America that offer top tier transportation service. Need a ride somewhere? TTPs are an excellent option. And our flagship program — our national network of ITN affiliates — is built around offering an award-winning innovative model for senior transportation in communities across the country. Wherever there is an ITN there is a sustainable community-based transportation solution. We’ve given nearly 1 million rides through ITN affiliates, from Maine to Florida to California. Rides. That’s what most people think of when they think of ITNs. To our members, it’s the heart of what we do. But rides are only part of what we do. Most of our members see us as a transportation nonprofit, but transportation solutions are just the action phase of our work, the implementation of ideas developed through intense research and examination of transportation policy nationwide. We work cyclically, building solutions after carefully examining the nature and characteristics of the problems that require them. ITNAmerica started more than two decades ago studying senior mobility, the challenges facing older people, their families and their communities. That led us to examine policy and the levers that influence how communities approach transportation across America, the resources available to pay for transportation, information technology and logistics, all in the context of the marketplace and free consumer choice. These four independent spheres — policy, logistics, technology and resources — fed the development of our network, our affiliate model and the programs that have grown from it. That is our heart. And the research continues. Today we run programs, and we use our research arm to evaluate our efforts at transportation solutions. We also use that research arm to look at the efforts of partners and others, always working to find what senior transportation service models truly work. And we examine policy to understand what combination of incentives offer the prospect of lifelong mobility. This is the multi-pronged ITN approach to senior transportation: It is about programs, but it’s about more. It’s about learning the changing landscape and ensuring the best efforts and outcomes. Our research feeds our policy development which feeds our programs, everything under one roof, an organization without walls. Innovations are born, developed, implemented and evaluated seamlessly, no barriers or hurdles. A comprehensive approach, built to address the challenges facing older people in mobility. That’s ITN. This entry was tagged senior mobility, senior transportation. Bookmark the permalink. Local ITN office closed last year for a few months. Our impressions was that they blame the reason on not generating enough revenue. I agree on that, but in the nearly 4+ years I was a paid driver, I never heard of anyone coming down from the head office. Yet, they blame the paid drivers for their lost of income. I miss ITN and had the pleasure of driving a lot of good people. would come back to ITN in a heart beat in the orlando area if they took paid drivers back, thoroughly enjoy it. Thanks for the note Richard. Yes, ITN affiliates have a range of different options for how they conduct rides. Some hire paid drivers while others rely on volunteers. Those decisions are up to the local organizations. 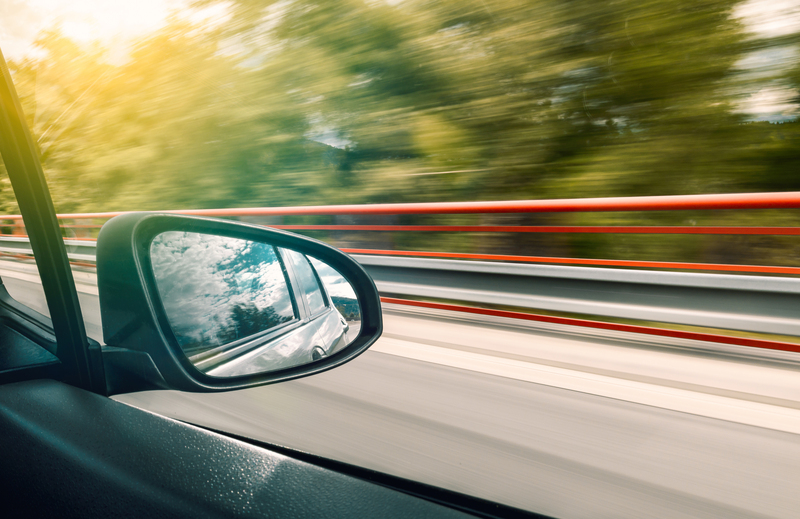 In Orlando the local affiliate opted to switch over to volunteer drivers in order to lower costs, which allowed them to offer the best transportation value to their members. It has been a very successful change. As nonprofits, ITNs focus on being cost effective, and using volunteers goes a long way to that end. But it’s great to hear you had a positive experience driving for your local ITN. That’s what is so nice about ITNs service — it is both rewarding and serving an invaluable purpose. Do you come to Shelton, CT? Hi Florence. Thanks for writing. There is not an ITN in your area. If you go to the Rides in Sight website and search Shelton, CT, There are a number of transportation options available. Or you can call our toll-free hotline: 1-855-607-4337. We have trained customer service representatives standing by to help you sort out your transportation needs. Nassau and Suffolk County lack adequate services for seniors, physically or mentally challenged, sight impaired, or anyone not able to drive anymore. Para-transit is not always reliable; former north to south routes have been eliminated. Project for Independence, available in Town of No. Hempstead, which provided various needed services in that Town, now only provides trips to the grocery store twice a week. Rides for Sight resources are also limited in these two counties. Thanks for the note Lucille. Yes, it’s true, many communities lack adequate services for seniors and other groups. That is why ITNAmerica does the work it does: to support and grow transportation options that improve lifelong mobility. Our ITN affiliate model offers flexible, dignified transportation solutions in communities across the country, and our Rides in Sight database helps people find out what other transportation options are available to them. But these are clearly only pieces in meeting the challenge of senior mobility nationwide. That’s why ITNAmerica is dedicated to this important work. And please consider giving our Rides in Sight hotline (1-855-607-4337) another try. It is constantly updated, so as new services come up they get added to the database. There seem to be a number of listings for Nassau and Suffolk County. Perhaps one will meet your needs. Lastly, our ITN affiliates are are started by people who recognize exactly this need in their community. We are always looking to expand our network. We partner with community-minded people and groups to solve exactly this issue. If you or anyone you know would be interested in starting an ITN affiliate in your area please contact us.